Airbus, the European-based aircraft manufacturer, has announced this week that it will be incorporating more 3D printing technology into their manufacturing processes. Parts that are 3D printed are lighter, in some cases more than 50 percent lighter than traditionally manufactured parts. They are also strong, and have the potential to be more economical to produce. Airbus has already used 3D printed components in their A300 models, and plastic and metal brackets in their A350 XWB aircraft. Beyond the economic value of 3D printing, and the innovation that 3D printing technology allows, Airbus sees 3D printing, or additive manufacturing, as a way to maintain existing aircraft. Since printing replacement parts allows components to be printed to exact specifications, 3D printing could potentially be used to create parts on-demand, increasing turnaround time for aircraft repairs. 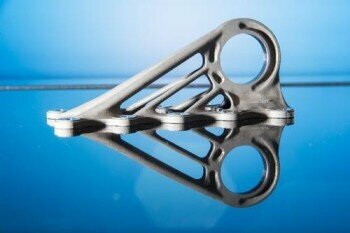 This month, the first 3D printed component, a plastic crew seat panel, flew on an Airbus jetliner. 3D printing has huge potential to impact aircraft manufacturing and repairs. Not just for replacement parts but for innovation as well. In the future, large-scale 3D printing could bring aircraft manufacturing to new levels of innovation and design.